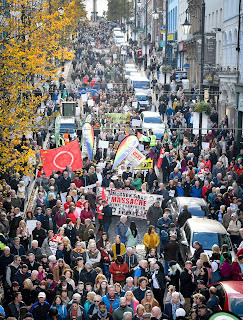 Last Saturday in Derry was a great day. The 50th anniversary of the October 5th 1968 civil rights march was a colourful and optimistic event attended by thousands. I want to commend all of those who helped organise and who participated in it. The mood was upbeat, positive and determined. Where 50 years ago a peaceful demonstration was attacked by the RUC and people left bloodied and scattered, this year Derry resounded to the sound of thousands of voices laughing, singing, happy, confidant. The raised voices of an indomitable people singing ‘We shall overcome’ echoed around the Guild Hall. 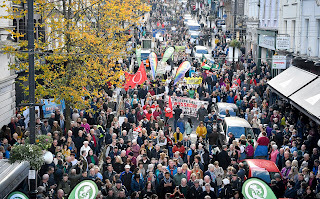 Last weekend Derry marked the Duke Street anniversary with a series of events. 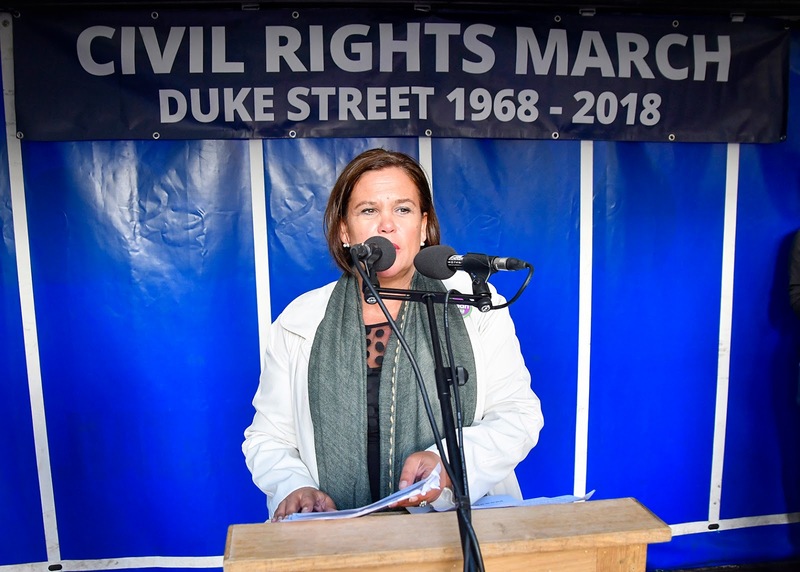 It was an occasion to reflect on the courage and vision of those who, participated in a march that was to become a pivotal moment in our recent history and which for some marks the beginning of what has been described as ‘the Troubles’. The RUC’s violent assault on the civil rights demonstrators resulted in street fighting in different parts of Derry City and witnessed the first barricades of the conflict erected in the Bogside. 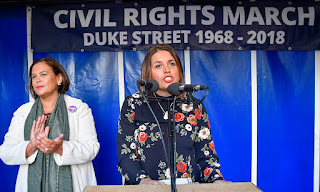 Ten days later the nationalist representatives withdrew as the official opposition in the Stormont Parliament, and more civil rights marches were held and banned. A month later the Unionist regime, led by Terence O’Neill, announced a series of reforms. These included Councils being encouraged to use a points system for allocating homes, the company vote – whereby business people had a vote for each building they owned - was to be abolished and the government would consider suspending parts of the Special Powers Act. It was an inadequate response to the crisis that was building. There was no acceptance of the right of every person to vote in local elections; no commitment to end the gerrymandering of electoral boundaries; no obligation to end discrimination in employment or in housing; and no commitment to end the Special Powers Act or disband the B Specials. 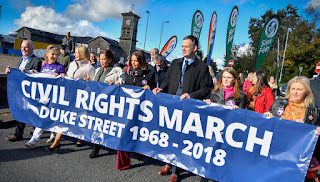 The refusal of the Unionist government to introduce basic rights for all citizens, and the failure of the British and Irish governments to take decisive action against the sectarian policies of the Stormont regime, set the context for the decades of instability and conflict that followed. 50 years later much of society in the North has been transformed. The Orange State is gone. In the last Assembly election unionists lost their majority. 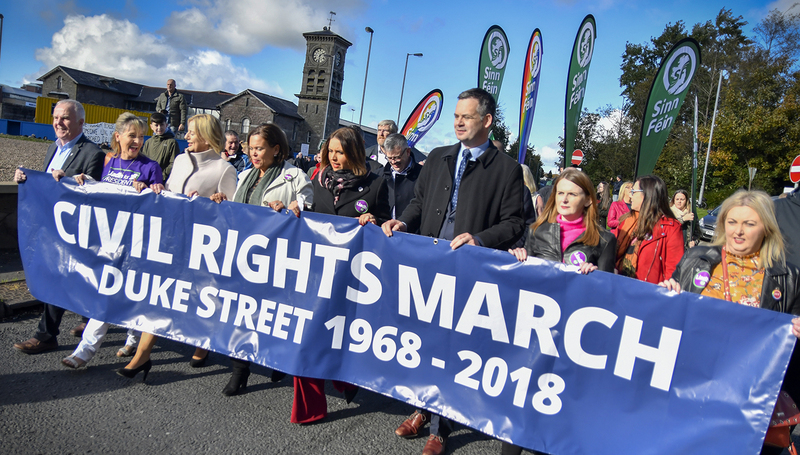 But the sectarian philosophy that dominated the northern state under unionism can still be found in the desire of some to deny equality to Irish language speakers and reproductive rights for women. Marriage equality now exists in all parts of these islands except the north because the DUP oppose it. And the legacy proposals that emerged out of the Stormont House Agreement have been blocked by the DUP/British government alliance. 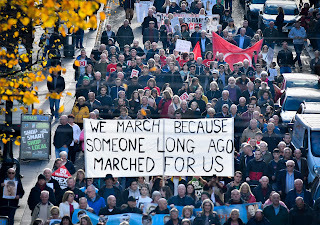 Regrettably, elements of the media chose to ignore the weekend march just as they had ignored the civil rights march 50 years ago. Watching the local BBC news it was as if no march had occurred. The Belfast Telegraph even went so far as to speak of the “perceived injustices against Catholics” at that time. A minority of voices chose to criticise Sinn Féin for organising the demonstration. Their claim was that as Sinn Féin was not part of the 1968 demonstration we couldn’t commemorate the event. Indeed some have tried to erase the role of republicans entirely from the story of the civil rights campaign. The truth, of course, is that many republicans helped to organise, steward and participate in most of the events planned by the Civil Rights Association at that time. We were part of that narrative and that initiative. 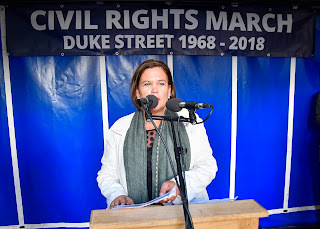 Sinn Féin was a banned organisation but through the Wolfe Tone Societies, the Republican Clubs, the Belfast and Derry Housing Action Committees, the Civil Rights Association and as individuals Republican activists played our part in campaigning for civil rights. Many others played their part too. Among them Eamonn McCann, Paddy Kennedy and Bernadette McAlliskey and others like Gerry Fitt, Ivan Cooper and John Hume who would later form the SDLP. 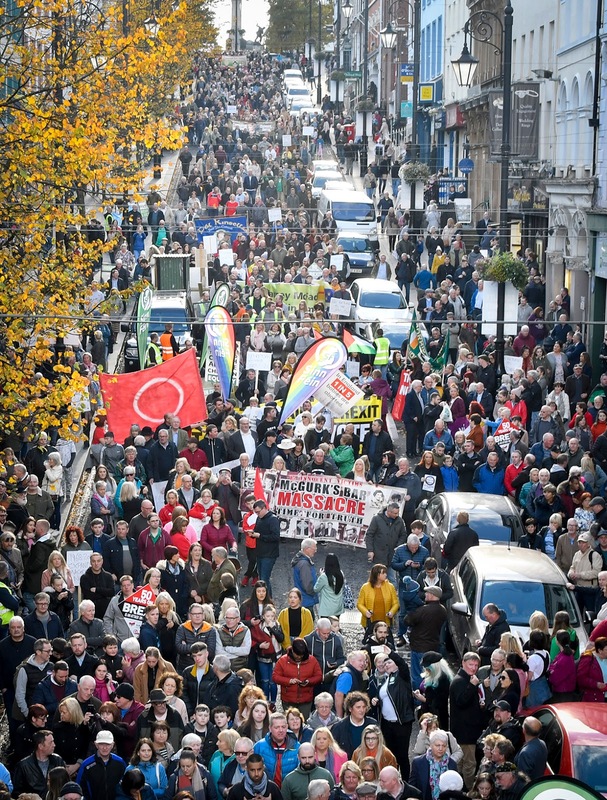 In 1967-68 hundreds of people came together in Derry to take a stand against inequality and injustice in a sectarian, one party dominated state that did not respect or want them. They refused to give their consent to this. They refused to consent to being treated as second class. They demanded equality. 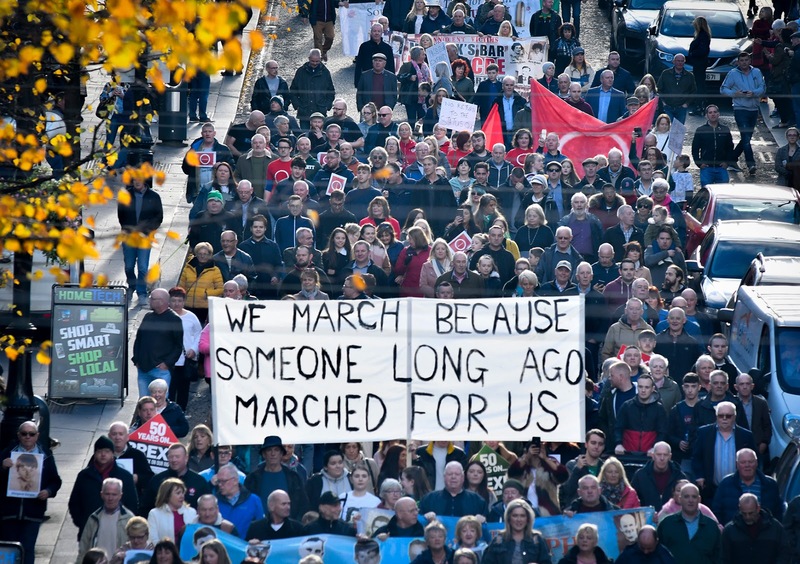 The thousands who marched last Saturday were acknowledging the vision and courage of those who marched that route 50 years ago. But they were also taking a stand against inequality and injustice today and demonstrating their determination to complete that journey.